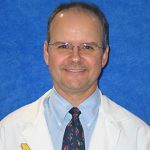 Brent C. Williams, MD, MPH, is the medical director of the University of Michigan Complex Care Management (CCMP) program and a professor of Internal Medicine at the University of Michigan. As medical director of the U-M CCMP program since 2007, Dr. Williams has developed clinical programs to improve care and decrease inappropriate health care expenses among high-utilizing patients with combined medical, mental health, substance abuse disorders, and/or poverty and homelessness. Complex care management programs have been developed in collaboration with the Office of Clinical Affairs, Michigan Medical Home Work Group, primary care practices, and the Office of Population Health headed by Dr. Maria Han. Dr. Williams is the primary liaison for the University of Michigan Health System (UMHS) with community mental health (CMH) services, and co-chairs a task force developing joint clinical programs between UMHS and CMH. He also serves on the Washtenaw Health Initiative (WHI) Steering Committee and on multiple WHI work groups related to safety net clinics and mental health services. In medical education, Dr. Williams serves as director of the U-M Medical School Global Health and Disparities Path of Excellence, a co-curricular pathway providing medical students the opportunity to participate in summer research activities across the globe and develop leadership skills through in a series of community-based learning experiences, seminars, and structured learning experiences. An active primary care physician, Dr. Williams has published articles related to medical education and faculty development, and recently co-edited a book on the care of hospitalized older patients.